Dr. William Jungers, Chair of the Department of Anatomical Sciences at SUNY Stony Brook, is currently associate editor of the Journal of Human Evolution. Throughout his career he has had access to some of the premier collections of specimens in the Yale Peabody Museum, the American Museum of Natural History, the British Museum of Natural History, as well as collections in Madagascar, Austria, Germany, Denmark, France, Belgium, Sweden, Switzerland, Indonesia, and Ethiopia. 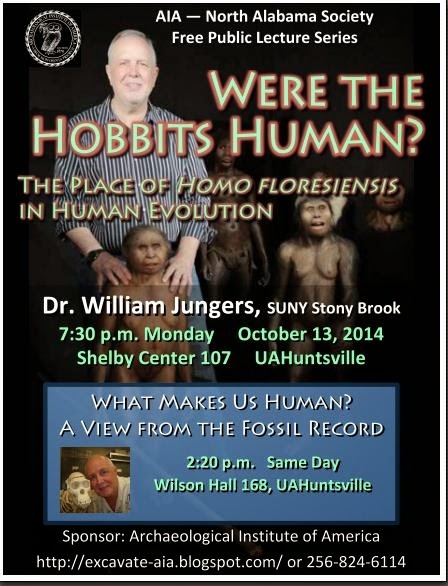 Dr. Jungers is an expert on the hotly debated topic of the place of Homo floresiensis in human evolution.